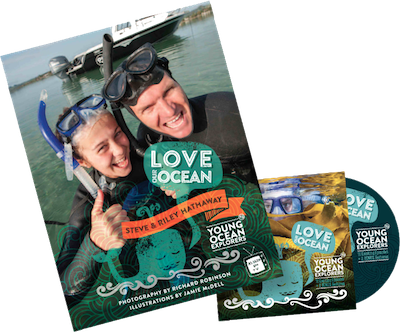 Get our popular Young Ocean Explorers - Love Our Ocean Book or TV series on DVD for your classroom or home! The book, inspired by the popular TV series, features spectacular imagery by award-winning photographer Richard Robinson. It opens up a whole new world, bringing us face to face with the beauty and strangeness of the underwater realm in a quality never seen before.